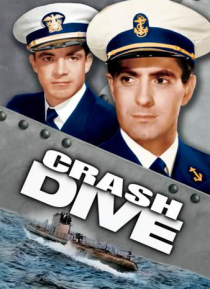 German submarines are targeting Allied vessels in the Atlantic, and in the midst of the fighting, a pair of American Naval officers might be embarking on a very different kind of collision course. After a chance meeting, Lt. Ward Stewart (Tyrone Power) has fallen for Jean Hewlett (Anne Baxter), a New England teacher who happens to have the eye of Ward's Navy boss, Lt. Cmdr. Dewey Connors (Dana And… rews). But love will have to wait while the men work to help win World War II.